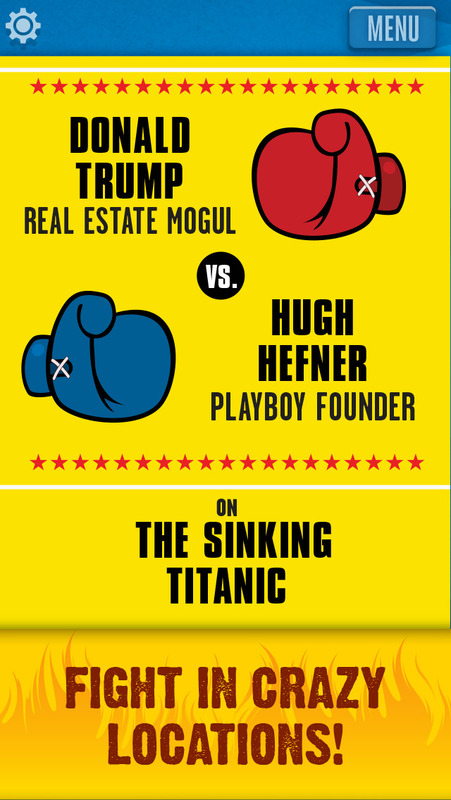 KNOCKOUT NAMES is the knock-down, drag-out, text-based fighting game that lets YOU pit famous historical and modern-day figures and celebrities against each other in a fight to the finish! 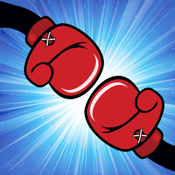 With TWO exciting modes of play, you can brawl alone or with friends as you battle your way to pugilistic glory! Abraham Lincoln VS. Oprah Winfrey at the Olympics! Donald Trump VS. Chuck Norris at a Water Park! Sherlock Holmes VS. Justin Bieber on a Subway Platform! With literally THOUSANDS of fight matchup possibilities in the game, the opportunities for bare-knuckled victory are endless! When playing with friends locally, CHALLENGE CARDS make your fights even CRAZIER! Sleepy Bigfoot VS. a 40 ft. tall Nicolas Cage on the Sinking Titanic! Zombie Kim Kardashian VS. Dracula on crack at a Bowling Alley! Robot Hitler VS. a constantly pooping Doctor Phil at the DMV! 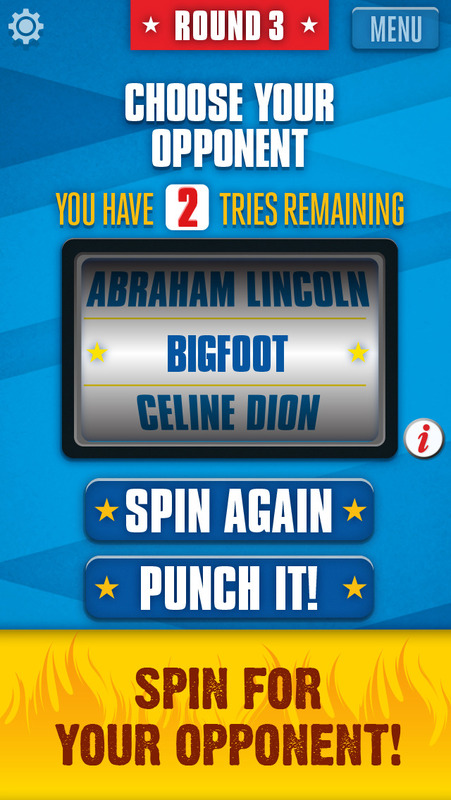 Make your case and annihilate your friends with KNOCKOUT NAMES, the only app that makes celebrity brawling an art form!